Multi-time motorcycle drag racing champion Rickey Gadson is assembling a huge group motorcycle ride to Myrtle Beach’s upcoming Bike Week. All proceeds will go to a cause that is near to Gadson’s heart. 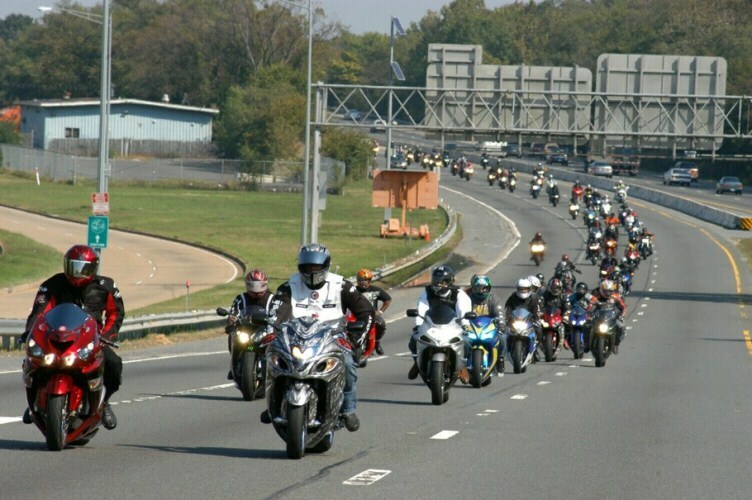 Calling all riders (especially but not only sportbike riders) as we ride for a great cause with Rickey Gadson to Atlantic Beach Bike Week 2011.The ride will originate in Philadelphia, stopping in MD, VA, NC destination Myrtle Beach SC. At each rendezvous point, the ride participants will receive a “Rickey Gadson Ninja to the Core Atlantic Beach” tee shirt (with YOUR NAME PRINTED ON THE BACK) and a Rickey Gadson/Help Me Ride back pack as a keepsake for them to rep the ride and commemorate the experience. ONLY PRE-REGISTERED PARTICIPANTS will get their names printed on the backs of these limited edition tees. Participants are REQUIRED to donate $25. If you can’t ride the entire ride, then ride a leg (or two or three) of it. If you can’t ride at all please donate anyway. MC Clubs/Organizations that pre-register to donate $250 or more will get their organization name listed on the shirt as ride sponsors. And individuals that pre-register to donate $25 or more will get a free tee OR a free Rickey Gadson/Help Me Ride backpack. Based on availability. Participants will be able to join us at ANY DESIGNATED stop during trip. -Destination- Redline Powersports 4663 HWY 501 Myrtle Beach SC 29579 PH 843-236-0758 arrive at 8:15pm and celebrate!! These participating dealerships are rolling out the RED CARPET for us. Free food and drinks will be provided at each dealership for (pre-registered) ride participants. 100% of your donations will go to the aid and research of one of the largest pediatric diabetes centers in the country, The Children’s Hospital of Philadelphia’s (C.H.O.P.) Diabetes Center for Children (DCC). In addition to riding to raise money and awareness for Pediatric Diabetes, we were informed that this ride could potentially be the largest celebrity sport bike ride EVER recorded in the GUINESS BOOK of RECORDS. There will also be several camera crews filming the ride (Speed or Discovery Channel, Kawasaki web sites, Cycle World Magazine, Sportbike Inc. and more to be announced). Come be a part of something great and make history with us!!! The Diabetes Center for Children (DCC) at The Children’s Hospital of Philadelphia, PA is dedicated to excellence in patient care, education and research. One of the largest centers in the country dedicated to the treatment and study of diabetes.